Same Old Story EP, released March 2006. "Lady In A Black Dress," "Smashed," "Every Now and Then," and "Same Old Story" off of the Same Old Story EP have had airplay at 95.7 The Rock (La Crosse, WI). 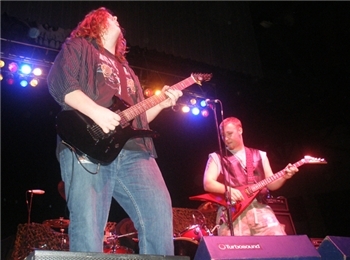 Formed in late 2005, ZETUS DEAMOS draws from a wide array of influences including Velvet Revolver, Alice in Chains, Guns N' Roses, Van Halen, Motley Crue, Stone Temple Pilots, Led Zeppelin, Def Leppard, Rush, and AC/DC. Regularly performing in premier clubs such as The Rave in Milwaukee, The Annex in Madison, First Avenue in Minneapolis, and The La Crosse Center in La Crosse, ZETUS DEAMOS have garnered numerous accolades as well as invitations to major label showcases and festivals throughout the Midwest. 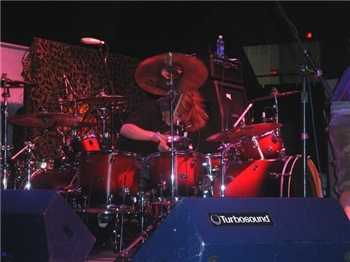 Throughout their travels, ZETUS DEAMOS has opened for some of the largest acts in the nation including Buckcherry, Hellyeah, Chevelle, Billy Idol, Airbourne, Black Stone Cherry, Endeverafter, Operator, Black Label Society, L.A. Guns, and more. Their debut full-length album, “With a Vengeance” was recorded at Natural Recording Company and mastered at Mastermind Productions by Grammy award winner Trevor Sadler (Rush, Cracker, Moby, Madonna, Live, Nine Inch Nails, Soil, The Crash Test Dummies) and released independently in June 2007. Having been acknowledged as one of Wisconsin’s top ten bands by the Launchpad Organization, ZETUS DEAMOS is definitely a band on the rise.